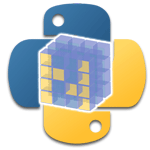 Write a NumPy program to remove all rows in a numpy array that contain non-numeric values. Previous: Write a NumPy program to remove the negative values in a numpy array with 0. Next: Write a NumPy program to select indices satisfying multiple conditions in a numpy array.